Aging is associated with reduced secretion of, and down-regulation of receptors for, progesterone (P); yet, P’s effects when administered to younger and older animals have not been systematically investigated. 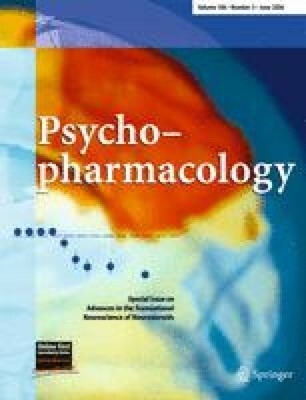 Some of P’s antianxiety effects may be due to its conversion to 3α-hydroxy-5α-pregnan-20-one (3α,5α-THP) and its subsequent actions as a positive modulator at GABAA receptor complexes (GBRs). We investigated whether P administration can decrease anxiety behavior of progestin receptor (PR) knockout (PRKO) or wild-type control mice. P (10 mg/kg) or vehicle (propylene glycol) were administered subcutaneously to intact, female or male wild-type or PRKO mice that were either 9–12 or 18–24 months of age. Behavior in tasks that assess spontaneous activity (activity monitor and roto-rod), free exploration of a novel environment (open field, elevated plus maze, and elevated zero maze), and conflict behavior (mirror chamber, dark–light transition, and punished drinking) were examined 1 h after injection. P significantly decreased anxiety behavior of both PRKO and wild-type mice. P did not alter motor behavior but increased central entries in the open field, time in the open quadrants of the elevated zero maze, time in the mirrored chamber, time in the light compartment of the dark–light transition, and punished drinking in young and old mice. P-administered mice had higher levels of hippocampal 3α,5α-THP and GABA-stimulated chloride flux than did vehicle-administered PRKO or wild-type mice. The effects of P to decrease anxiety behavior of younger and older mice do not require classic PRs and may involve actions of 3α,5α-THP at GBRs. This research was supported by grants to CAF from The National Institute of Mental Health (MH06769801) and The National Science Foundation (IBN03-16083).